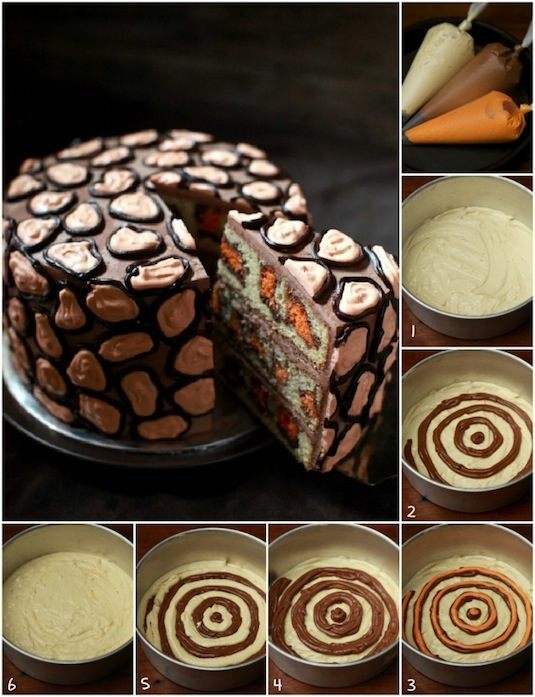 When I ran into a few of these peek a boo cake recipes on Pinterest last year, I knew I had to give it a try. The idea of having a surprise hidden inside of cake, bread, or other treats was just too much for me to ignore! Most of these I haven’t attempted yet, but with the holidays inching closer, I’m ready to give them a go. 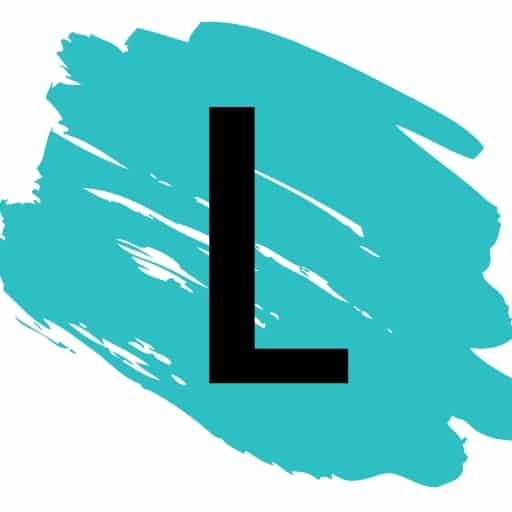 After you see the step-by-step instructions, they are actually much easier than they might appear. 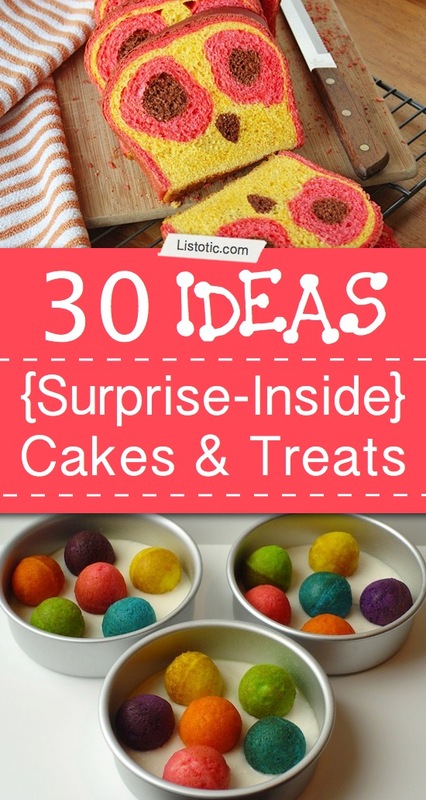 And so, I’ve compiled a list of some of the best surprise treats! What a great way to make an on-the-go version of a pancake breakfast! 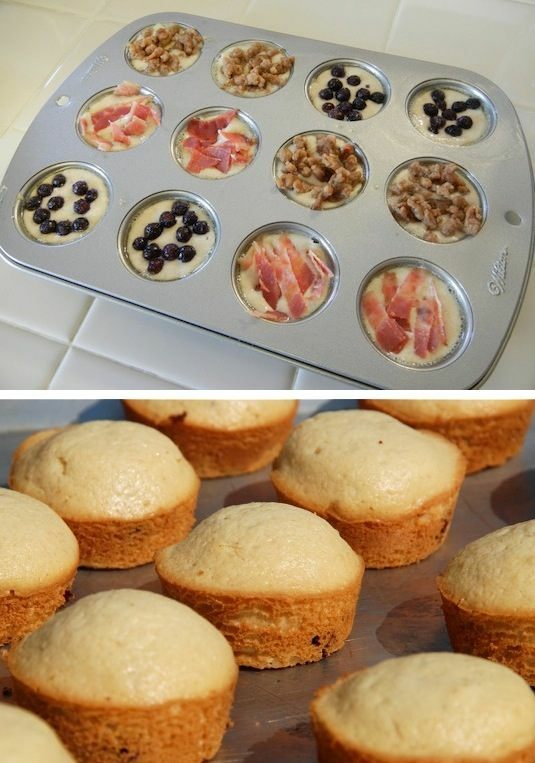 Fill your muffin tin 1/4 full with pancake mix, toss in a few of your favorite breakfast ingredients (bacon, sausage, blueberries– maybe even a little dollop of maple syrup? ), pour another layer of pancake mix over top until they are 3/4 full, and bake at 350 for 10-15 minutes. You could even make these the night before an early morning, and then have them ready to run out the door with. 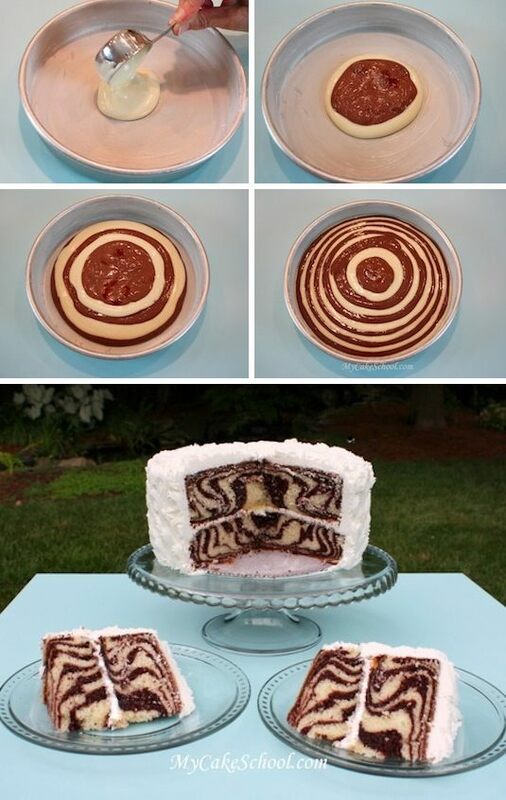 Zebra striped cake can go with just about any party theme, from a kid’s safari party to a bachelorette party. And, the best part is, it doesn’t take a lot of skill or effort! The cake can all be baked at one time without any food coloring added as white and chocolate cake are already readily available.